Last week I updated an article at about.com which lists the top 25 Linux distributions on Distrowatch and gives a short description of who they are for as well as any pros and cons. There are a few distributions on that list that I haven’t tried and so I just gave a description as provided by Distrowatch. I made a note to myself though that I really should give them a go. The first one I tried was Q4OS because it was the smallest download (under 400 megabytes) and my internet is playing up again. (The misty hills of Scotland does that from time to time). fast and powerful operating system based on the latest technologies while offering highly productive desktop environment. We focus on security, reliability, long-term stability and conservative integration of verified new features. System is distinguished by speed and very low hardware requirements, runs great on brand new machines as well as legacy computers. It is also very applicable for virtualization and cloud computing. The above text could easily be displayed on the website for a dozen different distributions. I was intrigued however as to what I would get for the 400 megabytes and what I found was surprising, very surprising. 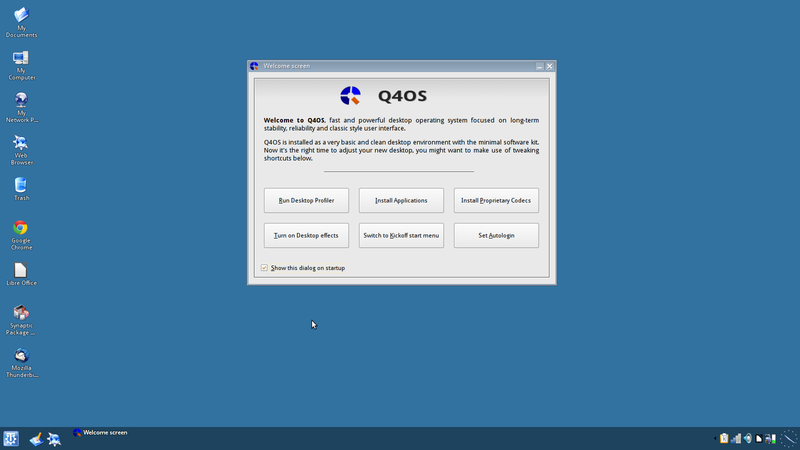 You can download Q4OS from http://q4os.org/downloads1.html. You can either download the live CD at 644 megabytes or do as I did and go for the 388 megabyte download which just provides the installer and no live experience. Personally I recommend trying a live version out first in case there are any gotchas that you won’t want to find out about afterwards and it helps to get a good feel of the distribution. I went against my own advice and just went for the small download and blew away the previous distribution that was residing on my Toshiba Satellite Pro laptop. 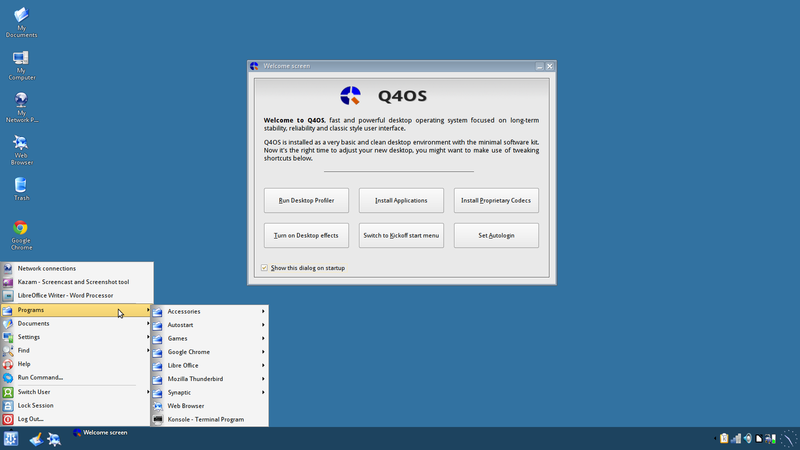 Q4OS is based on Debian Stable and therefore the installer is pretty much the same one. It isn’t difficult to install but there are a lot of steps. You can also buy a CD from here. The menu is very old school expanding from left to right as you click through the categories. There are two things to point out at this stage and that is the performance is insanely good but navigating through menus in this fashion is time consuming. On the Welcome window there is an option to switch to the Kickoff menu. This is much more modern and includes a search function. Connecting to the internet is a fairly standard affair. Click on the network icon in the system tray (may as well call it a system tray, this could be Windows) and select the network. You will need to enter a password if your network requires one. The welcome window has some key features on it which are definitely useful. As I chose to install from the installation CD only a base set of applications were installed such as a terminal window, text editor and other KDE centric tools. There is an option on the Welcome screen called “Desktop Profiler” which lets you install a whole set of applications applicable for desktop computing. 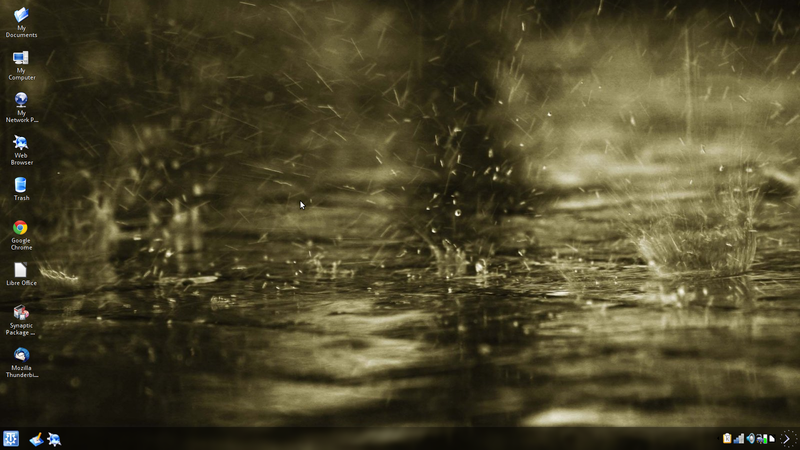 The choices are for a fully featured desktop, a basic set of applications or just the Q4OS installation as it is. I think this is a neat touch. The initial download of Q4OS is kept to under 400 megabytes and if I didn’t need LibreOffice and other such tools I wouldn’t be forced to have applications installed that I didn’t require. If I subsequently decide that I need these tools I can click one button and they are downloaded and installed and that download is only around 400 megabytes as well. Another button on the welcome screen allows you to install multimedia codecs. This will allow you to play MP3 audio and watch DVDs. The Welcome screen has a button allowing you to install other applications. If you have already chosen to install the fully featured desktop then many of the applications highlighted in the “Install Applications” window will already be installed such as Google’s Chrome browser. There are some decent applications that many people will want to have installed available for installation without having to search the repositories such as Dropbox, Skype, WINE and even Teamviewer. 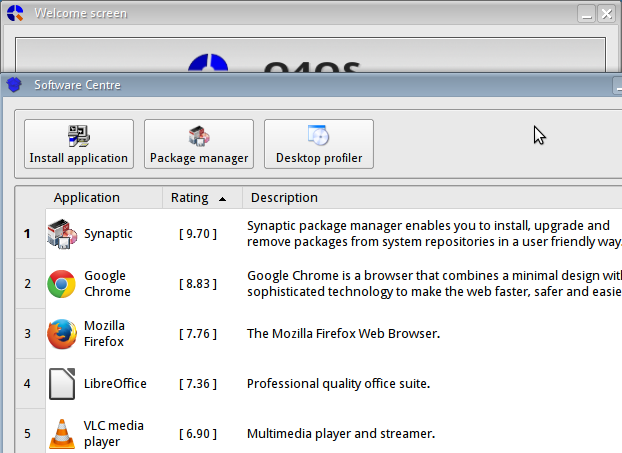 If the application that you want isn’t listed you can always launch Synaptic which is the default package manager. Other options in the Welcome screen include to toggle desktop effects on and off, switch between the classic and modern menus and also choose whether to login automatically. One thing you will notice is that the dialogue windows all look similar to old school Microsoft dialogues. 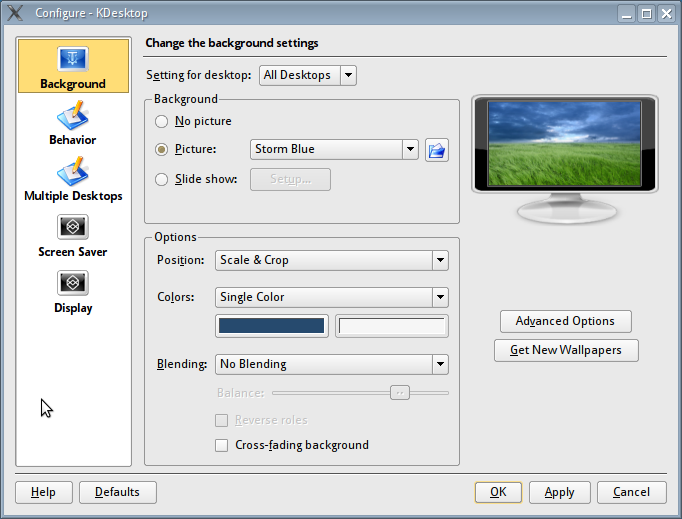 To be able to change your desktop wallpaper for instance you have to right click on the desktop and choose the customise desktop option from the very windowsy context menu. As you can see from the image to the left the desktop configuration settings window could be taken straight out of Windows NT or 2000. Having said all this, the actual navigation and dialogue windows are actually all very functional and easy to follow. Q4OS has a nice selection of wallpapers and screensavers available evidence of which is shown below. 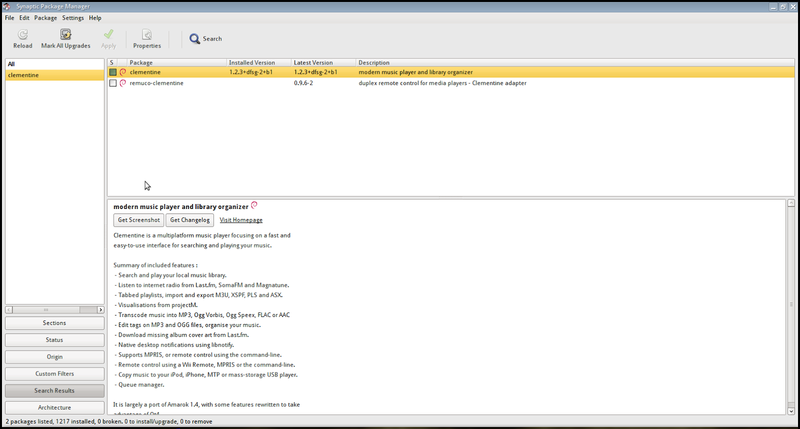 There are also a number of KDE based tools such as Konqueror, Krusader and Konsole. The one thing really missing from the installation and from the list of applications in the installation screen (from the Welcome window) is a good audio player which brings us nicely onto the next section. Fortunately there is none of that pfaffing around with Software Centres within Q4OS. Good old Synaptic is the package manager of choice. It isn’t the prettiest tool out there but Synaptic is functional and fairly easy to use with a list of categories down the left, the applications in the top right and a description of a selected application in the bottom right. There is also a decent search facility. When you have found what you wish to install place a check in the box to mark it and then press the “Apply” button. Therefore if you need a decent audio application search for “Clementine” and install it. As Q4OS doesn’t come with its own audio player (although you can play music through VLC) I recommend installing Clementine. I also recommend installing the multimedia codecs from the welcome screen. 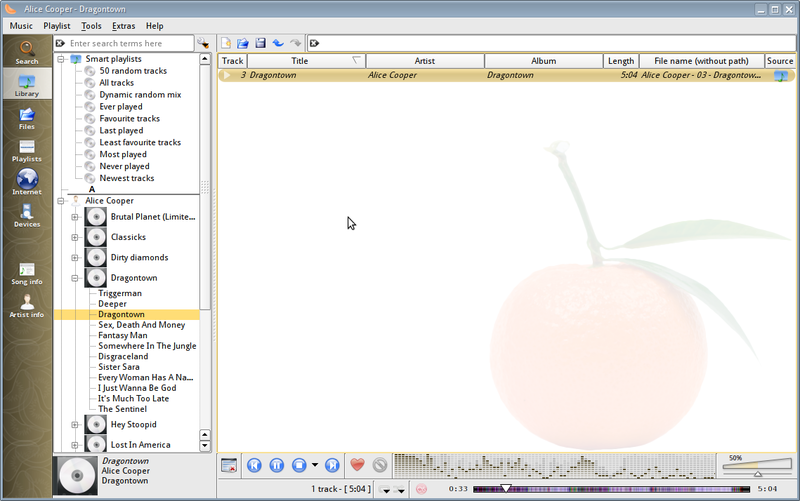 Clementine in my opinion is the best audio player that Linux has to offer. It has a really clean and crisp interface and makes lining up and playing your music simple. The default video player is VLC and it isn’t just the best video player on the Linux platform but on any platform. You can choose to play videos from your local disks, DVDs, a network stream or from the internet. A common misconception that new users to Linux have is that their hardware isn’t catered for and even if it is you need to type in loads of commands to get it working. This may have been true 15 years ago but now it is easier to set up printers on the best Linux distributions than it is on Windows. 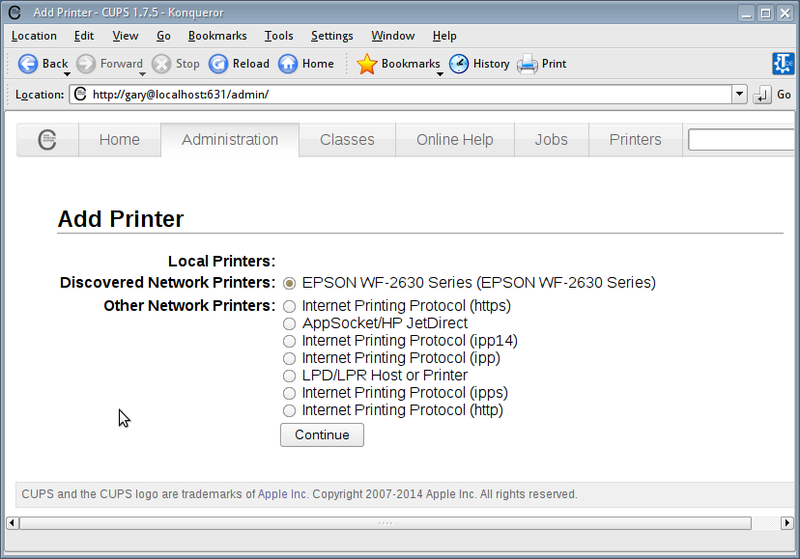 In Q4OS the method required to set up a printer is very similar to how you would do it with Windows. Simply select the Start button, then settings, printers and finally click the “add printer” button. I didn’t need to insert a disk to install my wireless printer. I just selected the one that was offered to me and it was ready to go. Quite frankly phenomenal. I have a Western Digital MyCloud device which I can honestly say is the biggest pile of rubbish I have ever bought. A network storage device which requires an ethernet connection in 2015 is just nonsense. Worse than that, it keeps losing its connectivity and so you have to restart the stupid thing. Connecting to it from Q4OS however worked a charm. All I needed to do was select “Start” -> “Settings” -> “Network Connections” from the menu and then “Add Connection” and a list of the devices on my network appeared. Simply double clicking on the WDMyCloud device showed all the folders available. With regards to Flash you are covered on two fronts, first of all there is the ability to install multimedia codecs and then one of the applications installed is the Google Chrome browser. Nothing more to say, it just works. (well, as well as Flash works, in its creaky, more security holes than a death star kind of way). It is hard to know what to think of Q4OS. It looks like Windows did about 10 years ago. The crazy thing is though that it really works and it works better than most of the other Linux distributions I have tried over the past 10 years. Everything is oddly where you would expect it to be and everything really does just work. I didn’t have a single program cause issues and the performance is astounding. Quite honestly I can’t fault this as a distribution and I am surprised it isn’t more popular. I highly recommend this distribution to all users who are on older or low end computers. I also recommend it to people who want to try Linux without getting their hands too dirty. It is like Zorin OS in some ways but it doesn’t have any of the little quirks although it doesn’t equally have the visual effects and probably a little bit less style than Zorin. I don’t really rate distributions out of 10 normally but I would definitely give this a 10 although I could understand some people feeling a little bit uneasy about the fact that it does look so much like Windows. Has Windows 10 Killed Linux On The Desktop? "…….I could understand some people feeling a little bit uneasy about the fact that it does look so much like Windows." Why should this be a problem ? If it works well then it works well ! Actually yes that is a bit of a stupid comment by me. I think I will remove it. When I wrote it I was thinking along the lines of if a user wants it to be like Windows so much why not just use Windows but the comment looks a bit daft now that I have slept on it. Excellent review! I'll give this one a try tonight. I tried last night, and it's blazing fast. blink, and libreoffice is up and running! blink, and pinta in up and running! so, my in-laws are getting q4OS on the PC I promised them, and my sister-in-law is getting it on her beyond slow windows 10 laptop. I agree, it is an excellent distro for older machines. 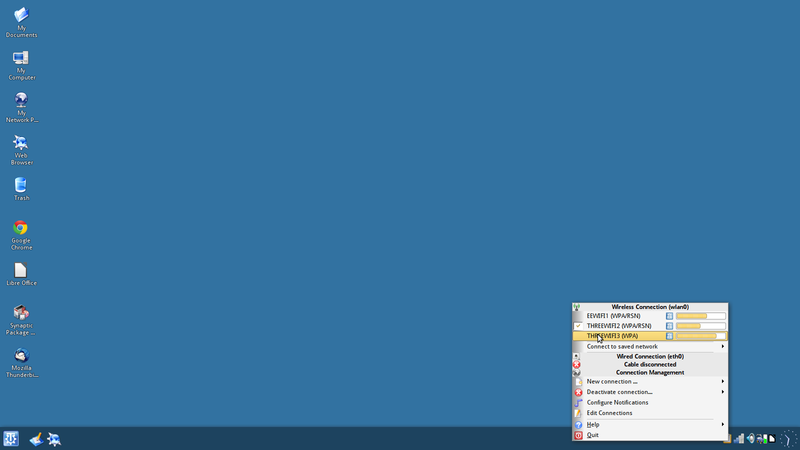 I received an email yesterday about a Windows XP skin that can be put on top of it to make it look even better. I've been using it for almost a year now on an old weak atom-based PC with 1 gb memory. It just gave life back to this pc. It performed better than any other linux distro on it and of course, better than windows. In fact, it worked just prefectly: stable, fast with no issue at all. Yes, I have to say that Q4OS is definitely the best distribution that I have found this year. Thank you for a great review. I just gave a try and I have to admit it's a great distro. 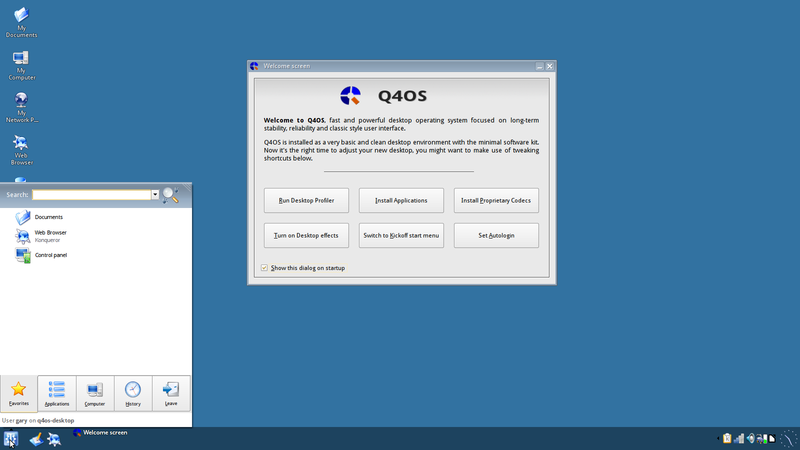 But if you'd like to try Q4Os without formatting /home partition be careful. Q4OS installs Documents, Public and so on folders overwriting the old ones. This is a very interesting review. I've been using *nix systems since '95 along with MS and Apple (now for the last 15 years). I run a business that get's a LOT of older systems and I'm always struggling to rationalize installing Windoze on them for gifting and resell. Your review has compelled me to line it up beside LXLE and see how this really stacks up. My first impression so far is that it is ridiculously ugly. Obviously in an ideal world that would not matter, but feeling like I'm back beta testing Windows 95 is an awkward feeling. The UI / UX definitely needs to be revamped towards a more Windows 7 (or even better, OS X) experience, but otherwise this is a very interesting system. I want access to the Internet using a modem, but I do not know how? Installed Q4OS with the XPQ4 add on and absolutely love it. Runs great on my aging desktop and my little Atom powered netbook. Both were originally XP machines and although I had upgraded to Win 7 I never really liked the switch – until QSO4. Just love it! Running it on an old ezmachines all in one atom pc and it runs even smoother than the xp version that came pre-installed. Even my 12 year old daughter loves it. I have installed it on my EEpc 1000h with minimal apps, but having said that on 30Gb ssd I've installed several window apps office 97 and several windows amateur radio programme. The Linux set of amateur programme is very good as well. I did put gdebi on to load some un- regonised programs all worked seamlessly. The menu up dated and desk top icons were achieved even on the MS programs running in Wine. Very good distribution and very fast even the Windoz programs.